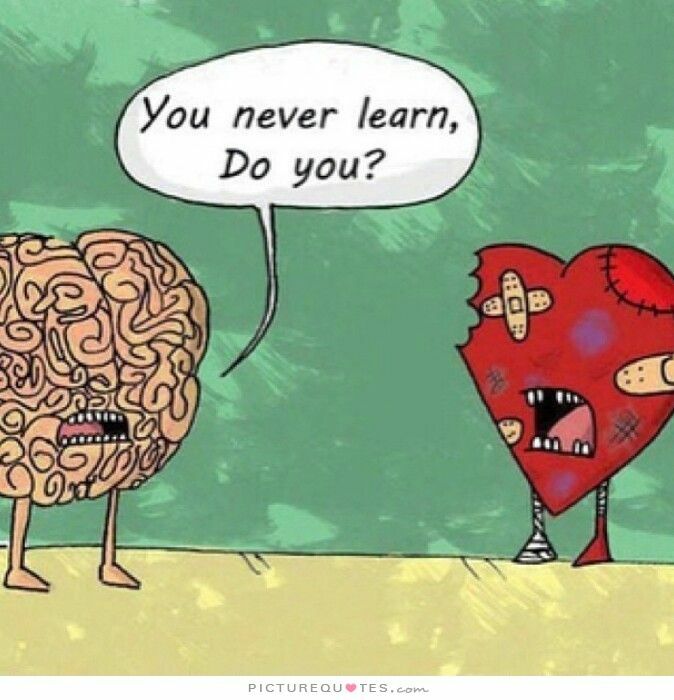 Not so smart are you heart? For years, I’ve talked about wanting to become less of a person and more of a robot. Why people want to have so many fleshy people parts is beyond me. I don’t know about you, but I would really like to have parts of my body that didn’t hurt all the time. My shoulders, my knees, and most other joints I possess hurt all the time. I would welcome them all if a doctor would like to experiment on me. Unfortunately, it seems that I don’t have six million dollars(or billion I guess is now what the cost would be). My heart, on the other hand, is something that I’ve replaced on my own. While I was born with a bitter heart, I’ve added way more bitterness to it over the years by experience. You know how the Grinch had a tiny heart that grew four times the size when he saw the Who’s down in Whoville singing or whatever? Well, my heart has also grown over the years. Grown more bitter. My bitter heart was enlarged when I was young and at Christmas didn’t get the only thing I asked for that year. I didn’t get the Transformer, Springs, which not only changed from robot to car, but car to helicopter. Santa knew I wanted it, and I had only been mostly bitter that year. He owes me Springs. Now, there is no way to get him and the time has passed. The bitterness of not getting him has not passed however. I grew 3 sizes more bitter. Then another piece of bitterness was added to my heart I didn’t get the car I wanted in high school. My parents knew at the age of 14 when I was legally able to drive, I wanted a Nissan 300ZX twin turbo. Although they did let me drive the Chevy Citation, which is what I received several times in the form of speeding tickets. If only they would have given me the Nissan, I could have outrun the cops and avoided the stupid speeding tickets. Oh and the girls. One after another, from third grade until this day, each one that I tried to date, took turns reaching into my chest cavity, grabbing the bitter stained heart, threw it on the ground, and stomped vigorously on it. I don’t understand why after all the careful stalking I did, they didn’t want anything to do with me. What does it take to get a girl to want to give all to you, when you clearly give at least 10% to them? As we all prepare to give stupid little cards with hearts on them, or roses that are the color of a heart, or get ready to fight with our significant other for the underwhelming gifts that we got for Valentine’s, let us think of how we can enlarge our hearts with more bitterness. How we can be like the Grinch who grew his heart four sizes in one day, but with bitterness. I’m freshly bitter I didn’t get any limp overpriced flowers this year, or taken out to an overcrowded restaurant to eat lukewarm food (from a limited menu) delivered by ragged out of breath waitstaff. I bet it would be horrible to spend Valentine’s Day away from the kids in a tropical paradise like Hawaii, or something. Bitter Valentine’s to you, Ben! And a Bitter one to you too! So you’re like the Christmas Scrouge of Valentine’s Day? Chocolate should fix that. Chocolate also fixes Harry Potter when he gets hunted down by dementors. So it must have some magical healing properties. The hubs and I bitterly celebrate Valentine’s Day by not acknowledging that it’s a thing. Everyone wins! I love that mentality. If we don’t get the day off for the holiday, is it really a holiday? I love that the Donald has created so much bitterness among us. He has increased traffic to my site by 1%, which at least means he is better for business right? Three sizes. The Grinch’s small heart grew three sizes that day. It was two sizes too small at the beginning at the story. You have now lost all credibility with me. I guess I should start paying attention to my Grinches and Scrouges. Since they are so much like me especially. I’ll continue to do research so I can get back all the credibility I had before. I, too, would like to become the bionic woman as all my human parts gradually wear out. But I’ll want those awesome sound effects when I do cool action moves. Speaking of which, when are “they” going to make a reboot? The long wait is almost enough to make me bitter, and that’s saying a lot. I just think, why wait for the parts to wear out, when you can proactively get those parts? Right! Everybody is busy spending the day thinking about all the people that do (or will do) horrible things to us (for us, without us). But really, its the IMPORTANT stuff, like the car we NEEDED that we never got. That’s right. How could our hearts ever recover from the bitterness that we feel toward that car that we never got. My heart still hurts from never getting the Nissan Z.
I hope you do. It is something you should work really hard on doing so your heart isn’t so happy all the time. I don’t know what to tell you, Ben! 10% is more than enough. Stalking is always an acceptable form of courtship. What was wrong with those girls? The Nissan was a sweet choice. I wish I would have had an Aston Martin this summer when I got a speeding ticket or maybe the Delta 88 from the Evil Dead movies. I know. At least if you are going to get a speeding ticket, make sure you are doing it in a vehicle that is cool. I always got them in dumb vehicles like Chevy Citations. I remember those things. They were only cool because the name was of the movie. If it came with Kung Fu, then it would be cool. Well, mine does come with the amazing ability to turn a speeding ticket into a felony? Does that count? That is an amazing ability. How did you pull that off? Are you some sort of supervillain? You have plenty of cause to be bitter, I hated valentines day in school, because what if I didn’t get any cards from my school mates? Oh the tears and bitterness. I hate valentines day. I really hated Valentine’s because of all the girls that I had crushes on that didn’t have crushes back. I mean come on, who didn’t want a bitter kid to be their Valentine? What nerve ! Always wanting those smiles and sweet nothings. Don’t give in. I guess I had way higher expectations back then than anyone else did. Part of being bitter I guess.